Beginning January 4, 2010, you may see a difference in the way your Washington County Cooperative Library Services (WCCLS) notifies you about holds or overdue items. Some libraries will be updating all patron accounts that have email addresses to email notification. (Not sure if your library has your email address? You can check your account online by going to your Patron Account, which lists your email address and phone number of record). This means that patrons will receive holds and overdue notices by email rather than by phone or U.S. mail. The change will be done library by library, and each library will determine the date that their patron registration records will be handled. Some libraries have decided not to change the notification method for patron accounts issued or renewed after a particular date. Some libraries have decided not to do the update in the next few months. If you wish to update your account to email notification now, you can opt-in online, or visit your library where staff can make the necessary switch. Bring your library card or a valid piece of identification (in addition to your library barcode number), email address and phone number. WCCLS realizes that not all patrons have email accounts, nor will they all prefer the electronic mail notification method, so WCCLS will continue to use the phone notification system for those patrons who want to receive hold and overdue notices using that method. WCCLS will continue to use U. S. mail for those patrons who want to receive hold and overdue notices using that method. For all patrons, regarding of the notification method chosen, WCCLS will continue to use U.S. mail to notify patrons about fines and billing. For more information about email notifications and your library, please contact your library. Not too long ago a man and his daughter were found living in Forest Park. Authorities recognized the care the father gave to his daughter and located a safe place for them to live. After just a few days, they disappeared, and no one knows where they went. Portland author Peter Rock wrote a novel, My Abandonment, which takes this story and gives it completion. A book that will remain in your thoughts for a long time, My Abandonment will be discussed on January 19th at 7 pm at Tualatin Public Library. This is a wonderful opportunity to hear how an author takes a story and makes it into an unforgettable book. The evening is sponsored by The Tualatin Library Foundation. Tualatin Public Library is located at 18878 SW Martinazzi Ave, just south of Boones Ferry, and just north of Nyberg Road. Tigard Public Library is encouraging people to celebrate MLK Day by volunteering at the library. For more information, contact Trish Stormont at trish@tigard-or.gov or (503) 718-2516. Tigard is also hosting award-winning journalist and author Naseem Rakha on Dr. Martin Luther King Jr's Day. Rakha's critically acclaimed novel, The Crying Tree, deals with justice, compassion and forgiveness in the face of violent tragedy. Rakha will read selections from the novel and participate in a discussion of the book. The reading begins at 7pm in the Community Room. Tigard Public Library is located at 13500 SW Hall Blvd. 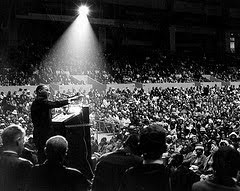 Most WCCLS libraries will be closed Monday, January 18 for Martin Luther King Jr's Day. But two WCCLS libraries will be open for your convenience: Tigard and Tualatin. But both Tigard Public Library and Tualatin Public Library will be open on January 18. Tigard Public Library, 13500 SW Hall Blvd, will be open 10 AM–9 PM. Tualatin Public Library, 18878 SW Martinazzi Ave, will be open from 1–9pm. On Friday, December 11th Washington County readers reached their 10 millionth check-out in a single calendar year. It's a milestone in the Washington County Cooperative Library Services (WCCLS) thirty-three year history. Judy Stuebe, a life-long resident of Hillsboro and frequent library user, made the crucial 10 millionth check-out. She remembers attending summer reading programs as a child at the old Hillsboro (Carnegie) Library on Lincoln Street in downtown Hillsboro. After raising four children to be library users — she is now instilling a love of reading in her four young granddaughters. In 2008, patrons checked out or renewed just over 9 million items. And with two weeks in 2009 still to go, WCCLS is projecting that the number of check-outs and renewals will surpass 10.5 million by the end of year! Please join WCCLS in saluting Ms. Stuebe and the other 280,000+ Washington County library patrons for continuing to make reading and libraries an important part of their lives. And for more information about the tremendous increase in circulation and program attendance, and how public libraries help families and individuals in hard times, please see Congratulations Washington County Readers on Hitting Your 10,000,000 Check-Out in 2009! WCCLS is holding its first annual Teen Summer Reading Artwork Contest. If you're a teen and you live in Washington County, Oregon, submit your entries between Monday, January 4, 2010 and Friday, February 26, 2010. Designs must be the original work of the entrant and the 2010 Teen Summer Reading slogan "Make Waves @ Your Library" must be part of the artwork. The winning artwork will be used for all countywide 2010 WCCLS Teen Summer Reading Program materials, such as posters, bookmarks, forms, and flyers. 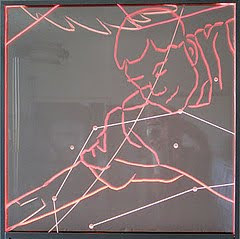 In addition, winning artwork may be showcased on the WCCLS.org website for up to one year. Details and entry form are online for your convenience. If you find yourself needing shelter in severe (freezing) weather, please see Washington County's Severe Weather Shelters listings. They are kept updated weekly. You can also dial 211Info by dialling 211 or (503) 222-5555. Garden Home Community Library, 7475 SW Oleson Rd, will be closed Saturday, January 9. The entire Recrecreation Center building will be closed for maintenance. The Garden Home Library will resume normal business hours on Monday, January 11. Bring your own project or work on the one provided. We will be making gift tags. West Slope Community Library, 3678 SW 78th Avenue. Do you like to knit or crochet, but can't seem to find time for it? 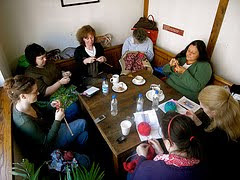 Well then, dust off that languishing project and drop in on our crochet and knitting group! This is a casual group—our goal is to provide an opportunity to share ideas and to draw on your neighbors' expertise. Drop in anytime and stay as long as you like. Please bring your own yarn, needles and hooks. For ages 16 and older. Sherwood Public Library, 22560 SW Pine Street. You've heard of Monday Night Football? Now there's Thursday Night Knitting! Every Thursday (except Christmas & New Years Eves) from 6–8:00 p.m. knitters of all ages and skill levels are invited to gather at the Shewood Library for lively conversation, knitting tips, and fun! No sign-up is required and participation is free of charge. Or, perhaps you'd prefer fiction about knitting or crochet, or knitting humor? Beaverton City Library: closing at 5pm. Cornelius Public Library: closing at 2pm. Garden Home Community Library: closing at 3pm. Hillsboro Main Library: closing at 6pm. Hillsboro Shute Park Branch: closing at 6pm. Sherwood Public Library: closing at 2pm. Tigard Public Library: closing at 5pm. Tualatin Public Library: closing at 6pm. West Slope Community Library: closing at 4pm. Banks Public Library: closing at 5 pm. Cedar Mill Community Library: closing at 5 pm. Cedar Mill Community Library Bethany: closing at 5 pm. Sherwood Public Library: closing at 5pm. Standard & Poor's Net Advantage is an ideal online tool to help you review your finances, plan for the future, and pick the best places to direct your money. It provides company and mutual fund profiles, data on corporate bonds, facts, figures, analysis and projections for publicly held U.S. corporations. Look here for S&P's independent research, data and commentary. And if you're a beginning investor, be sure to read the articles in the Financial Education section for expert advice. Check out the Standard & Poors with your WCCLS library card handy. The Cedar Mill Community Library Association is once again celebrating the rich cultural diversity in their community with the third annual Winter Reading & Arts Festival. Bells of the Cascades will open the festival on Tuesday, December 22, 7:30 PM in the upstairs meeting room at the Cedar Mill Library. Bells of the Cascades is a community handbell ensemble. It was formed in 1990 by a group of ringers and directors who recognized that handbells and handbell music were rapidly changing, growing and, in many ways, being reinvented as an instrument. Their desire was to bring this rich repertoire and unique sound beyond the church walls, where they are commonly heard, and to the community at large. They are dedicated to the advancement of handbell ringing through performance and education, conducting workshops and holding events for ringers. All ages welcome. Although this concert is free and open to the public, complimentary tickets are required for admittance. Tickets are available at the Cedar Mill Library Adult Reference desk. The Winter Reading & Arts Festival runs from 12/22/09 to 2/28/10. For more information, visit our website or call the reference desk at 503 644-0043 Ext 114. Cedar Mill Community Library is located at 12505 NW Cornell Road, just off Saltzman Rd. Sherwood Public Library will be opening at 1:00 pm on Tuesday, December 15 so that staff may attend the City’s All-Staff Year-End celebration. We appreciate your understanding. Storytimes will be held, as regularly scheduled, in the Community Meeting Room. Garden Home Community Library, 7475 SW Oleson Road, just north of Garden Home Rd. (503) 245-9932. 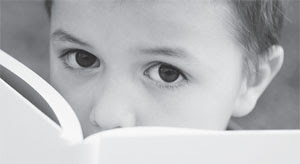 Learn about Early Literacy and the Six Early Literacy skills your child should know to be ready to read. We will also discuss Print Motivation, one of the Six Skills, and will have lots of fun reading stories and singing songs! This workshop is for parents and caregivers of children ages 0-5. Please feel free to bring your children with you! Snacks will be provided. All library programs are free! 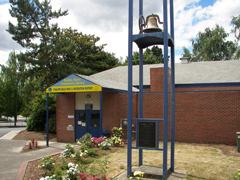 Beaverton City Library is located at 12375 SW Fifth St. in Beaverton. 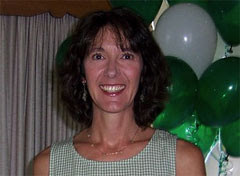 Local children's author, Dawn Prochovnic, will be making three appearances at WCCLS Libraries in the next week. Prochovnic, creator of Small Talk Workshops, is a certified Sign2Me presenter. Her programs are known for being lively and interactive. Be prepared to participate by singing and signing along! She'll be reading selections from her eight picture books in the Story Time With Signs & Rhymes series. Cornelius Public Library hosts Prochovnic on Friday, December 11 from 10:00 AM to 11:00 AM. Prochovnic will be their guest storyteller that morning and will be available after the program to answer questions and sign copies of her books (which will be available for purchase). Children are welcome and encouraged to attend. Cornelius Public Library is at 1355 N Barlow Street in downtown Cornelius. 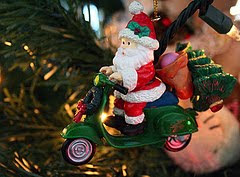 Tualatin Public Library hosts Prochovnic on Wednesday, December 16, from 11 to 11:30 AM. She will be a special guest, reading from one of her books. She will have her books available for purchase, and she'll be available to autograph them and to answer questions as well. Tualatin Public Library can be found at 18878 SW Martinazzi Ave, just north of Nyberg Rd. Beaverton City Library hosts Prochovnic on Friday, December 18, 3:30–4:30 in Meeting Room B. Kick off your winter break with Dawn Prochovnic as she shares her new book about learning sign language. This program is for children ages 4 to 10 that have an interest in learning ASL. All children must be accompanied by an adult. Please join us for this exciting author visit. The Oregon Public Health Division wants you to learn what not to give this season. After watching the video, learn more about how you can prevent giving the wrong type of gift this season. Several WCCLS libraries have closed due to weather today, Tuesday 12/29/2009. The Oregon Book Awards took place last night, and the Oregonian has a nice article about the authors and their books. Poets and Authors also has more details. We're pleased to mention that Washington County libraries have all six of the Oregon Book Award winners books. Convictions: A Prosecutor's Battle Against Mafia Killers, Drug Kingpins, and Enron Thieves, by John Kroger (the Oregon attorney general). Hiding Man: A Biography of Donald Barthelme, by Tracy Daugherty. Livability, by Jon Raymond of Portland. I.Q. Book One: Independence Hall, by Roland Smith of Wilsonville. All-American Poem, by Matthew Dickman of Portland. Keep On! The Story of Matthew Henson, Co-Discoverer of the North Pole, by Deborah Hopkinson of West Linn. The TumbleBook Library is now available from WCCLS. What exactly is a TumbleBook, you might ask. A TumbleBook is an eBook for prereaders and readers. They combine clear story telling with just the right amount of visual movement to enhance the overall story experience — like a story time with a little something extra. And, TumbleBooks are available in English, French and Spanish. Each story gives you the running time of the story, as well as the reading level. When you're in the story, the text is highlighted while it's being narrated so readers can follow along. Pages turn automatically — or you can read at your own speed. You can turn off the narration, too. While TumbleBooks are a great early literacy tool, they are awesome and fun, especially when parents and teachers are involved with the process. To use the TumbleBook Library, just have your WCCLS library card handy. Two of the WCCLS libraries are participating in Food for Fines Week this year, each with its own twist. The Sherwood Public Library is partnering with Sherwood's Helping Hands to bring you another “Food for Fines” week. This year it will be Monday, December 7 through Sunday, December 13. Fines on library accounts may be paid with donations of non-perishable food items. Each food item accepted is equal to one dollar of overdue/late fees. However, food will not be accepted as payment for replacement charges for lost or damaged items. All donations go to Sherwood's Helping Hands program for use in making holiday baskets and other offerings for local families in need. Questions? Ask at the Circulation Desk or call 503-625-6688. Sherwood Public Library is located at 22560 SW Pine Street in downtown Sherwood. Tigard Public Library asks, do you have overdue library fines? Reduce or eliminate them while helping those in need. The Tigard Public Library will hold its second Food-for-Fines drive Sunday, December 6 through Saturday, December 12. Food collected will be donated to a Tigard food pantry to be distributed to local families in need. Every two non-perishable food items donated will equal $1 in fines. A maximum of $10 per account may be waived with food donations, but patrons may contribute as many food items as they wish. The Library will also accept cash donations to the food pantry. Donated food will be used only toward payment of fines—not for damaged or lost items or accounts that have been sent to collections. Acceptable donations include: Canned meats (tuna, chicken, salmon), canned and box meals (chili, soup, macaroni and cheese, etc. ), peanut butter, pasta, rice, cereal, canned fruits and 100% fruit juice. Please, no unlabeled or rusty cans, homemade, perishable or open items. Tigard Public Library is located at 13500 SW Hall Blvd, north of Bonita Rd. Meet the authors of a new pictorial history book about Hillsboro! Join local authors Debbie Raber and Kimberli Fizgerald for a book signing event at the Hillsboro Main Library on Saturday, December 12, at 1 PM. The authors will share information about their new book Hillsboro — a recent addition to Arcadia Publishing's "Images of America" series. Kimberli Fitzgerald, a preservation planner and consultant and Debbie Raber, a project manager for the City of Hillsboro Planning Department, are both longtime Hillsboro residents who assembled the book. With the help of the Hillsboro Historic Landmarks Advisory Committee, the authors selected vintage images provided by Hillsboro residents and the Washington County Museum to include in the book. Copies of Hillsboro will be on sale at the event with proceeds going to the Hillsboro Downtown Business Association (HDBA) to help support Main Street preservation programs. The book may also be purchased from the HDBA, or at local retailers. Royalties will be donated to the city for historic preservation. In addition to the several copies of Hillsboro that the library has purchased, the library has other local history resources including the Hillsboro Argus from its first issue in 1894 to the present. An accompanying obituary index covering one hundred years is unique in Washington County. A one hundred year history of the Hillsboro Chamber of Commerce, 43 years of Hillsboro High yearbooks, the Index of Oregon Land Claims, and Sandborn maps can all be found at the Main Library. The Garden Home Community Library & the Recreation Center will be closed on Friday, December 4 to get ready for the annual Bazaar and Booksale. On Saturday, December 5, the Garden Home Recreation Center will be hosting its annual Holiday Bazaar with pancake breakfast, music and over 100 vendors (plus the passport program)! Meanwhile, the Garden Home Library be holding its annual used book sale from 9:00 AM to 3 PM. They have hundreds of books, plus CDs and DVDs, Entertainment books and canvas bags. Garden Home Community Library is located at 7475 SW Oleson Road, just north of Garden Home Road. So you think you know everything about New Moon by Stephenie Meyer? Are you ready for the next installment of the Twilight Saga in theaters on November 20th? Come to our special New Moon event near our Bethany Branch library at the Terrace Plaza Community Center on November 19th from 6-8 PM. Try your hand at the New Moon trivia game and see if you can win a prize. Play Wii baseball with the characters from Twilight or play the werewolf game if you're more of a Jacob fan. For more info call 503-617-7323 and we’ll see you on the 19th. Terrace Plaza Community Center is located at 15220NW Laidlaw Rd. Teens & Tweens only (grades 6–12) event. 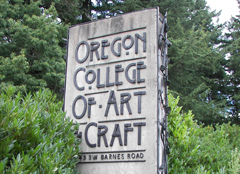 Hillsboro Main Library is presenting Dr. Dennis Jenkins, senior staff Archaeologist of the Museum of Natural and Cultural History at the University of Oregon, at 2:00 PM on Sunday, 12/6. Dr Jenkins will explore the processes and results of archaeological and paleogenetic investigations at the Paisley Caves, near the Summer Lake Basin in south-central Oregon. He will provide the most up-to-date evidence for the association of humans and Pleistocene animals in Oregon's high desert country more than 14,000 years ago. Radiocarbon dating of camel and horse bones, bone and wood tools, and dried human feces containing Native American DNA to the same age of roughly 14,300 years ago indicates that people lived in the caves and may have hunted camels, llamas, horses, and bison in central Oregon at the end of the ice age. This colorful slide show takes the audience through the scientific processes employed in proving that this was the case. A small band of Spartans make a heroic defense of Greece against the invading Persian Army in 480 BC. All other libraries open regular hours. Need some cooking help for Thanksgiving? Trying to figure out whether the turkey's actually done? Or what to do when it catches fire? We have a few toll-free phone numbers you might want to keep handy. Cornelius Public Library has added 700 Spanish and bilingual children's books to their collection. Please come help them celebrate! Celebre una Gran adición de 700 libros en Español y bilingües para niños! Celebrate an amazing addition of 700 Spanish and bilingual children’s books! 1355 N. Barlow St., Cornelius. Indulge yourself and your loved ones with new recipes from some of the country's best food industry and nutrition magazines including Bon Appetit, Real Simple, Sunset, Redbook, Essence, Good Housekeeping, and Vegetarian Times. The Culinary Arts Collection presents general interest magazines, academic and trade journals, books, and news about food, entertaining, and wine. A search on Thanksgiving recipes brings up lots of recipes and ideas for holiday celebrations. Check out the Culinary Arts Collection with your WCCLS library card handy. Entitled Influenza in Oregon, the web site has current news and press releases. You'll also find information for providers, employers, parents and the general public. Washington County Health & Human Services also has information on H1N1 Flu. Hay los hechos acerca de la gripe H1N1 en español (PDF). WCCLS will be unavailable on the evening of Sunday, November 1. This scheduled maintenance begins at 6:15pm, and all items on our servers will be down until about 6 am. You will still be able to download audiobooks and video via Library2Go and ask questions online. You won't, however, be able to search for materials, place them on hold, renew them, or check your account, nor will you be able to access our Online Resources during that time. We're sorry for any inconvenience this might cause. Celebrate October at the Cornelius Public Library with fun family activities! Create & take home a spirited mini pumpkin! All supplies provided to first 50 participants. Enjoy a bilingual presentation of child–friendly scary stories & songs. Wear costumes & stay for treats! Celebre el mes de octubre en la biblioteca pública de Cornelius con ¡actividades para toda la familia! ¡Decore y llévese a casa una calabacita! Calabacitas y materiales para los primeros 50 participantes. Disfrute una presentación bilingüe de cuentos y canciones de espantos para niños. ¡Venga en su disfraz y tendremos refrigerios! Garden Home Community Library will not be closed this Saturday, November 14, for building maintenance. The building maintenance has been rescheduled. We'll be there from 9am until 3pm on Saturday at 7475 SW Oleson Road, just north of Garden Home Road. Wednesday, November 11 is Veteran's Day. Many city and county offices are closed on 11/11. These libraries will be open Wednesday, November 11. These libraries will be closed on Wednesday, November 11. OSU Extension is offering free, public seminars focusing on aspects of climate change. The speakers are experts in their fields. The series takes place at the Charles D. Cameron Public Services Building, 155 N 1st, Hillsboro in the Shirley Huffman Auditorium. Enter through doors at the rear of the building. Tuesday, November 3, 2009 — 7–8:30 pm. Tuesday, November 10, 2009 — 7–8:30 pm. Tuesday, November 17, 2009 — 7–8:30 pm. For more information contact the OSU Extension service at (503) 821-1150 or see http://extension.oregonstate.edu/washington/ for a complete flyer. Wanna get your kids ready to read? They need more than the ABCs. Getting your kids ready to read is also known as early literacy. Early literacy is what children know about reading and writing before they learn to read and write. October is Early Literacy Month at Cedar Mill Community Library and Cedar Mill Bethany. They are offering early literacy workshops for parents of children younger than five years old. The workshops will focus on the six early literacy skills that are vital for kids before they learn to read. They will include current research on the brain, tips for sharing and choosing books for little ones, activities to help develop the six literacy skills, information packets, and most of all, how to keep this fun for both you and your kids. Workshops are for adults only. No registration required. For more information, call the Youth Services Desk 503-644-0043 ext 112. Cedar Mill Library @ Bethany is offering a Playful Early Literacy Class for Parents of children 0-5 years. Learn 25 fun things you and your child can do throughout the day that support pre-reading skills. Workshop is for adults only. No registration required. Birth to Five-year olds: Sunday, October 25, 1:00-3:00 pm - Terrace Plaza Community Room, 15220 NW Laidlaw Rd. Area teens will be reading just for the fun of it as the WCCLS member libraries celebrate Teen Read Week™, October 18–24, 2009. The theme this year is Read Beyond Reality. Library staff are offering an array of activities especially for teens —a gaming party at the Beaverton City Library, a book-themed movie night at the Cedar Mill Community Library and a Teen Rock party at the Tualatin Public Library. The whole list of teen events is online. Check with your library for more details! Looking for Wi-Fi? Look no further than your Washington County public library! WCCLS is pleased to announce that every Washington County public library now offers free wireless access. To use it, all you need is your WCCLS library card, your password, and your wireless-enabled device (laptop, smart phone, or PDA). Due to high demand from the public, WCCLS libraries struggle to provide enough computer and internet access. Patrons frequently must wait for a computer, and have a limited time to use it. With the expanded public wireless network, there are no time limits. This WCCLS supported project will save member libraries time and money. They won't need to install and maintain local wireless networks or continue to purchase and install wired PCs to meet the increasing public demand. We began implementation with smaller member libraries that did not offer wireless access in June, and then proceeded to the Cooperative's other libraries. Cost for the hardware, equipment, wiring, software and maintenance are part of the WCCLS budget and were included in the 4-year WCCLS local option levy approved by voters in November 2006. For more information, see the full media release. The Tualatin Public Library is looking for volunteers to join the team! Our volunteers assist with checking in and shelving returned books, locating the books our patrons request, and other tasks which keep our materials circulating. We also have volunteers who work with our Public Services staff doing projects that keep our collection up-to-date and in good condition, and to assist staff with presenting fantastic programs and events to the community. Contact Victoria Eggleston, Volunteer Coordinator, (503) 691-8105 or veggleston@ci.tualatin.or.us to find out more about volunteering at the Tualatin Public Library. 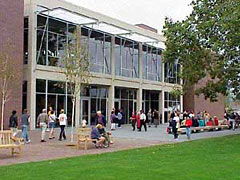 The Tualatin Public Library is located at 18878 SW Martinazzi Ave, just north of Nyberg Rd. Now, when you get questions on the go, you can get answers almost instantly. This week the Washington County Cooperative Library Services (WCCLS) has launched a service that enables patrons to send a text message to a librarian from their handheld electronic devices. A librarian will text an expert answer back to the patron within 10 minutes during the hours of service. All WCCLS library card holders can use this service. WCCLS and Beaverton, Cedar Mill, Garden Home, Hillsboro, Sherwood and the Tigard Public Libraries are participating. So if you are on the go and need an answer — text your question to a librarian and have the answer delivered to your phone or PDA within minutes. The service is available Monday – Friday: 6 AM – 8 PM, and Saturday 7 AM – 3 PM. Afterhours, patrons will receive a message that an answer will be sent when the service is available. So, ask away. We have answers! Tualatin Public Library is happy to present a series of digital camera classes through the fall. Wayne Welch of Oregon Photo & Digital will be presenting the classes, which will meet in the Library’s Community Room. Registration is required. Please visit us online at www.tualatinlibrary.org and click on the events calendar, or call 691.3077 to sign up today. Class fee of $50 per person to be paid to the Tualatin Public Library by Friday, September 11. Weather permitting, we will venture outside and take advantage of the cool fall colors. Wayne will give us practical advice in the field. Bring your own lunch. Class fee of $5 to be paid at the beginning of class. For individuals who have just purchased, or are considering purchasing a digital camera. Class fee of $5 to be paid at the beginning of class. For individuals who own a digital camera and want to learn more. Class fee of $5 to be paid at the beginning of class. For individuals who are interested in learning advanced techniques in digital camera photography. Sign up for one, or all four classes. Tualatin Public Library is located at 18878 SW Martinazzi Ave, just north of Nyberg Rd.